That's what we need nowadays, is more children that have goals other than being a sports figure or some kind of celebrity. 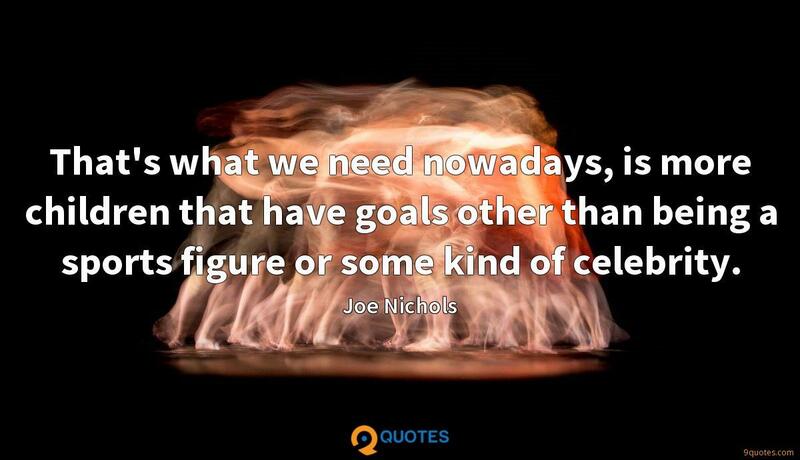 Joe Nichols Quotes. 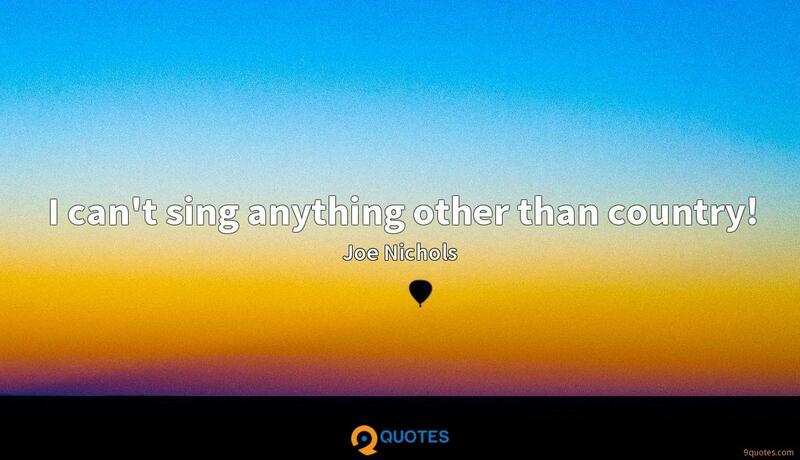 9quotes.com, 2018. http://www.9quotes.com/quote/joe-nichols-245292, accessed 24 April, 2019. I don't know exactly what's next. But I do know now that it's something rather than nothing. Television is a golden goose that lays scrambled eggs; and it is futile and probably fatal to beat it for not laying caviar. Anyway, more people like scrambled eggs than caviar. 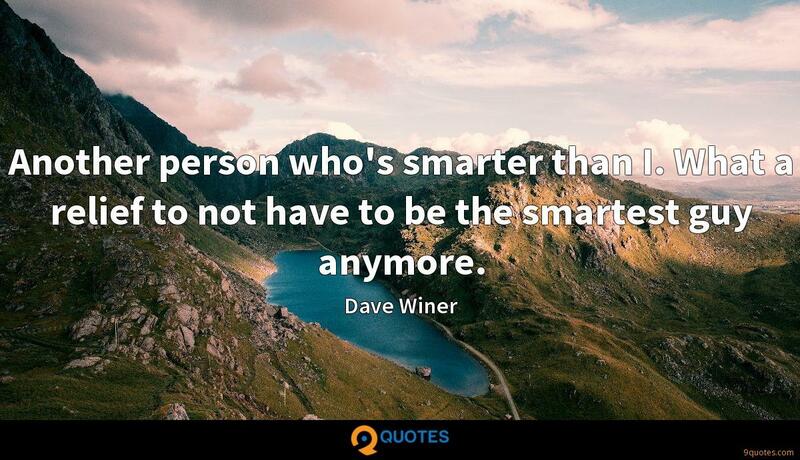 The author always knows more than the reader does at the start of a novel, and gradually, they share that knowledge with the reader - that's storytelling. There's a lot more to me than just power. The people who are competing business-wise out there want what other successful labels and artists have. I don't want what they have; I want my own path, my own sound, my own identity. Record labels care nothing about identity or artistic freedom, they want good business. 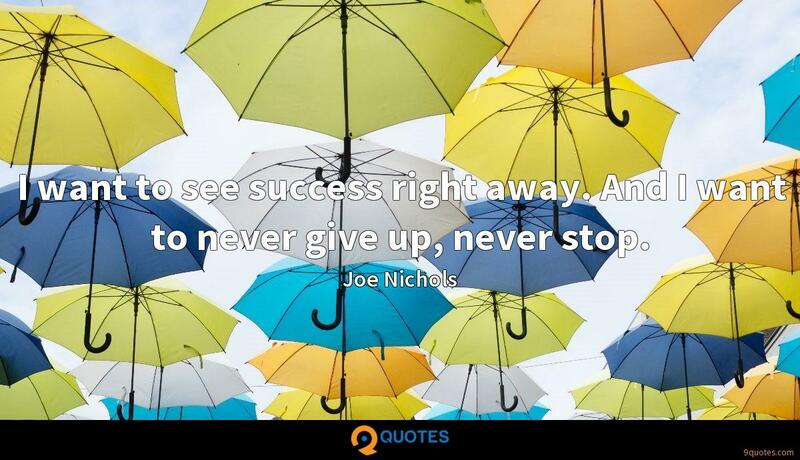 I want to see success right away. And I want to never give up, never stop. In my mind, as long as I did what was right for me, I was cool. But that's not the way it works. You have to think about other people and take their feelings into account. I can't sing anything other than country! 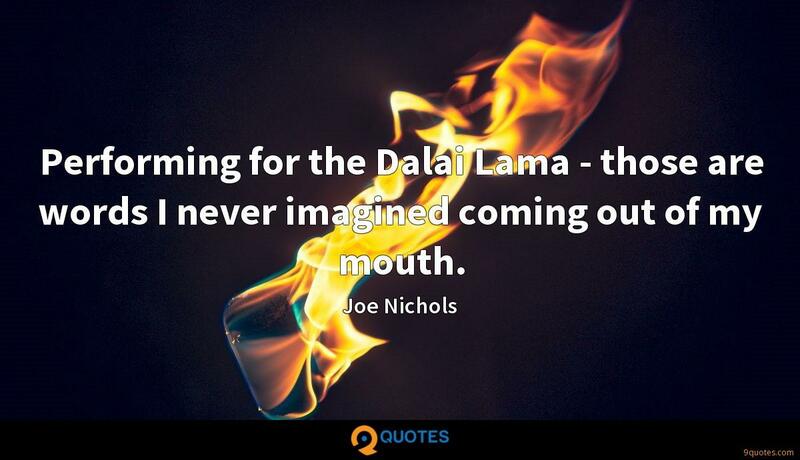 Performing for the Dalai Lama - those are words I never imagined coming out of my mouth.